Please note that all cats that stay with us need an up to date feline leukaemia vaccination. We don't take any un-neutered male cats over the age of 8 months. 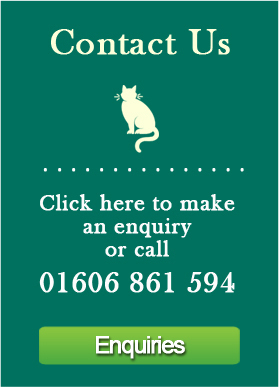 Our cattery is designed with security built in to the design and operating procedures. It is well maintained and hygienic with individual cat units with clean cosy beds. We regularly clean and disinfect all areas and equipment. 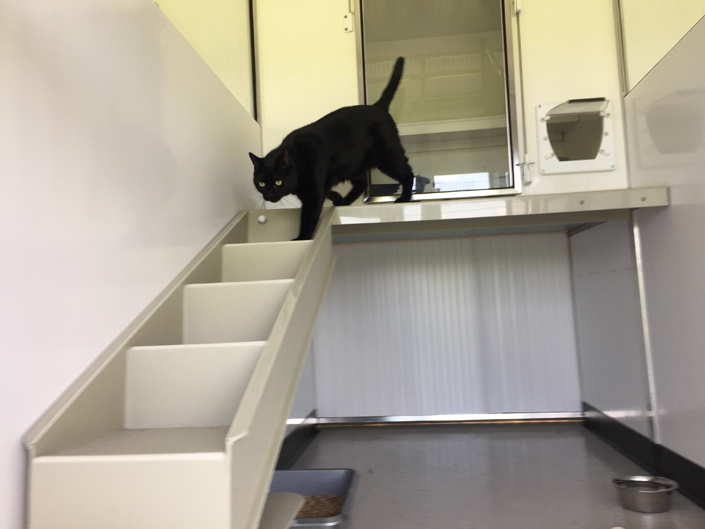 We have Individual runs with a cat flap for access to sleeping quarters. We have a ‘sneeze barrier’ which keeps cats healthy and a secure safety corridor is in place. We provide quality food and daily care and play by trained and qualified staff. All units are warm and comfortable and well ventilated in summer.